It’s no secret that I have no problem with recommending Blogger blogs as my blogging platform of choice. All of my main blogs at this point are hosted on Blogger and I’m very happy with them. I love the simplicity and the robust backend where I can manipulate the templates. Not only that but it keeps my overhead costs way down as I don’t have to host anything myself, everything’s on Google’s servers. I like to keep it frugal. Sure, I would like to diversify a bit and try my hand at some Wordpress self-hosted blogs but that is a future project that I will put on hold for now. So, in the spirit of working with Blogger, I’ve actually started writing a few articles on eHow on optimizing Blogger’s backend to be more SEO friendly. I could post these articles here on this blog as a series but I feel eHow is a logical place for them. Maybe in the future if my library of Blogger how-to’s grows substantial enough I’ll craft a little starter guide and make it available here for free on Chezfat.com. For now check out the articles if you are interested in following along. I’ll update this post in the future as new articles go live so check back in frequently or bookmark this post for future reference. Great info, I'm going to check out a few of your articles. 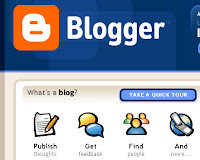 I have both blogger and WordPress, sometimes I think blogger is just quicker. Terrific info! I have been wanting to make my Blogger blog look more professional! Thanks!